"where of course all AAB.com members get a discounted price on Lodging"
It will have "weld designs" on it, as if the trucks welded together! I'll bop between N.E. Florida, (my parents live here) so I'll come back in the deep winter for my local charters. But no hotels needed. I'll have the sleeper cab, and take a nap on I-10 west, at Truck stops while pulling the JETTYWOLF back and forth the 10-12 hour drive, one way. I need this truck and Welder needs to buy me the custom "wrap". And I'll need "lodge" customers!!!!!!! And think TROUT & REDFISH in the comfortable waters of Lake Pontchartrain, and Venice marsh. Bring yer own boat to my lodge and we'll buddy boat the rigs out of Venice, La. 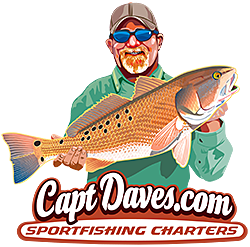 for Snapper, Cobia, Mangroves, and Grouper, King Mackerel, and Wahoo and Tuna. The stacks stay...(I'd just have them lower)....and I'll probably be going at least one stack on my "present" truck here soon. They're way too cool and with good breathing! This Cummins has about every shizizell known to man on it. Damn I can't wait to grow up someday and travel round. If ya had saltwater near ya, I might even be able to come up yer way. We'll talk about the wrap on my "Dodge Ram Interstate 3500 daullie" over the phone, till they make Texoma saltwater filled with Redbass at least. Hang on to your "stock exhaust"
My '98 basically has no smog devices on it and the guy giving me the check commented "There's nothing to check. Why do I need to check this truck? We got rid of emissions here. Supposedly it was costing the state and counties more than it was worth. But hell yeah, ya'll out in Lala land can't do "Shet", accept say, "thank you sir may I have another......"
That truck could still have all the EPA bullcrap on it.....but just with stacks. Either way. When I grow up and become a Pro-angler I'll want one. Dave The Bubble is busted cause I have slept on the backseat area on both my old 05 Dodge(sold) and my new Pee Powered Ford F350. Most Uncomfortable place to sleep second only to the front drivers seat. Come to find out......I believe when ya see dualie fenders like that, the truck's 1st life wasn't as a daulie, but single wheels. That's the fenders that are on after the duallie kit is put on a 3500. Which I like way better than the BULBOUS looking factory fenders on a intended Dualie Dodge. GOAT, it's okay.........I'M YOUNGER THAN YOU. YEP, sure looks like a "LaLa" land License plate to me on the bow. I was wondering cuz on the Cummins Forum I see both. Didn't realize that. Yeah, they sort of skipped doing "inside sleeper cab" pics. Either way, the broadside pic is my "screen saver", so as not to forget the ultimate goal of being a traveling PRO-angler someday...."travelling to Louisiana that is."